Just a reminder that, locally, A Gathering of Gamers is not being held at the Elkhorn Pizza Ranch as per the norm but rather at Lake Geneva Games 918 S Wells St, Lake Geneva, WI 53147. (262) 885-1515. That's this Sunday for those of you with some free time and an interest in boardgaming. The even is run by the Southern Lakes Area Gamers (S.L.A.G.) on Facebook here of which you have to be a member to see the events like this one created through the group. But just show up and play, if you like. There's plenty enough room for everyone. 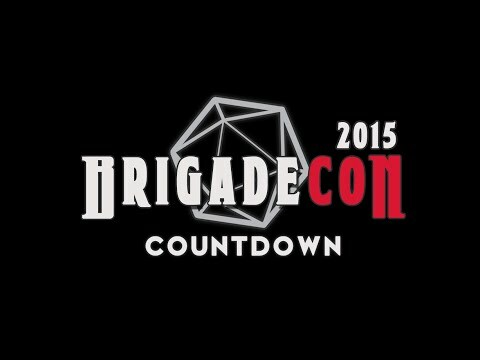 Also, on brigadecon.org, you can find out about Brigade Con 2015, "a free, online tabletop gaming convention that will take place on October 10th, 2015. 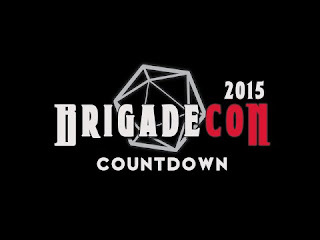 There will be 24 hours chock-full of roleplaying games, workshops and prizes." Find out more here. Finally, on dwarventavern.net, check out the Dwarven Tavern, "an independent media company that publishes original stories, reviews, news, covering the gaming world. Currently publishing printed books and ebooks, online content, social media, blogs, and more for the last 22 years." It's a good source for event information and other gaming goodies. Learn more here.